Plan your trip with TransLink here, or View the full bus map here. 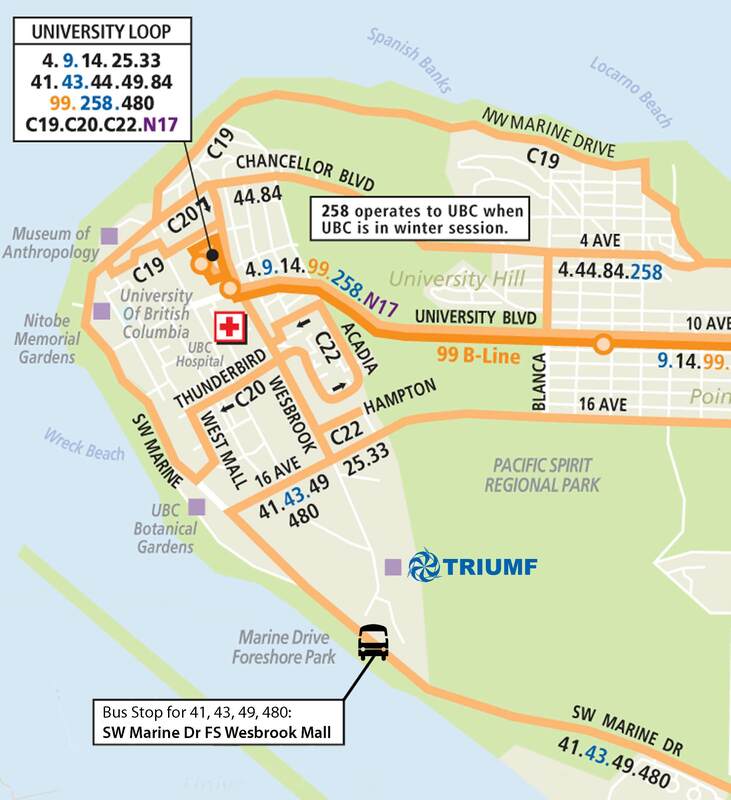 From the UBC Loop, #41 bus travels Southbound along Wesbrook Mall past the W 16th ave roundabout, stopping right in front of TRIUMF. Community shuttle busses (operated through TransLink) C18 and C20 run until their last stops at 12:49 and 12:38.